The US just saw the biggest one month outlay on record, at $429 billion, 33% higher than the $323 billion one years ago. 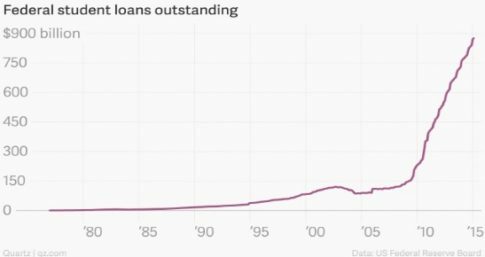 The reason for this, however, is even more striking than the number itself: it appears the student loan bubble has started to burst. And since the government owns most of the student loans, it would basically be yet another taxpayers bailout for those who loaded up on debt and now are unable to repay it. Meanwhile, if massive amounts of debt were erased, it would be another bubble bursting, which would send the U.S. into a fresh round of economic instability. Just days after reports emerged that student loan defaults are soaring, which is undoubtedly due to some combination of, among other things, poor job prospects for the millions of snowflakes who graduate each year with their $200,000 educations in anthropology and the moral hazard created by liberal politicians constantly calling for student debts to be ‘forgiven’ (a.k.a. forcefully jammed down the throats of taxpayers), the Trump administration has revoked rules put in place by Obama that barred student debt collectors from charging penalty fees on past-due loans. The Department of Education recently released a memo admitting that repayment rates on student loans have been grossly exaggerated. Data from 99.8% of schools across the country has been manipulated to cover up growing problems with the $1.3 trillion in outstanding student loans. New calculations show that more than half of all borrowers from 1,000 different institutions have defaulted on or not paid back a single dollar of their loans over the last seven years. It’s not uncommon to hear that the growth in student loan debt is like a time bomb threatening to blow up the U.S. economy. Now, you can watch it tick. As the 2016 election cycle heats up, we suspect the debate over student loan forgiveness will become an ever bigger issue with the Hillary camp looking to woo young voters that aren’t quite as “enthusiastic” about her Presidency as they were about Obama’s. We also suspect that students, helpless “victims” of predatory lenders looking to give them $200,000 to pursue their dreams of becoming anthropologists while consuming copious amount of free beer at frat parties, will grow increasingly vocal in asking why the Nanny State would have given them so much money to pursue non-existent “careers”. To put the student loan issue into perspective, there is roughly $1.3 trillion of student loans outstanding to 43mm Americans, an average balance of $30k per student. Roughly 16% of borrowers are currently in long-term default with outstanding balances totaling $125 billion, or an average balance of $18k per student. Joining the ranks of “broke lawyers” who can cancel their student debt, “Americans with disabilities have a right to student loan relief,” now according to Ted Mitchell, the undersecretary of education, said in a statement. 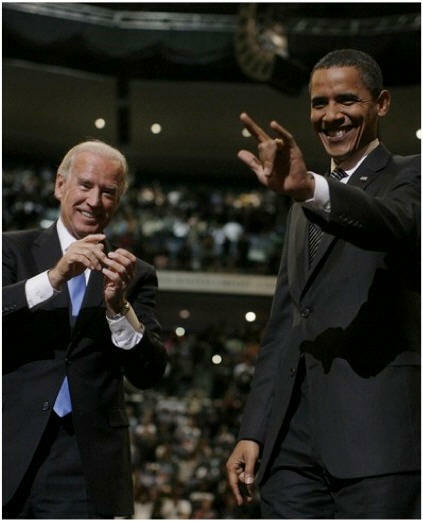 Almost 400,000 student loan borrowers will now have an easier path to a debt bailout as Obama primes the populist voting pump just in time for the elections. The Department of Education will send letters to 387,000 people they’ve identified as being eligible for a total and permanent disability discharge, a designation that allows federal student loan borrowers who can’t work because of a disability to have their loans forgiven. The borrowers identified by the Department won’t have to go through the typical application process for receiving a disability discharge, which requires sending in documented proof of their disability. Instead, the borrower will simply have to sign and return the completed application enclosed in the letter.